Afghans must now rest assured that NATO’s Resolute Support mission – plus “financial support for Afghan forces” – will finally assure the success of Operation Enduring Freedom forever. These puny “several battalions” won’t cause any Russian planner to lose sleep. The real “measure” is the deployment of the Aegis Ashore system in Romania last week – plus a further one in Poland in 2018. This has been vehemently opposed by Moscow since the early 2000s. NATO’s argument that the Aegis represents protection against the “threat” of ballistic missiles from Iran does not even qualify as kindergarten play. Every Russian military planner knows the Aegis is not defensive. This is a serious game-changer – as in de-localizing US nuclear capability to Eastern Europe. No wonder Russian President Vladimir Putin had to make it clear Russia would respond “adequately” to any threat to its security. Predictably all Cold War 2.0 hell broke loose, all over again. A former NATO deputy commander went ballistic, while saner heads wondered whether Moscow, sooner rather than later, would have had enough of these shenanigans and prepare for war. A case can be made that the Beltway – neocons and neoliberalcons alike - do not want a hot war with Russia. What they want, apart from racking in more cash for the Pentagon, is to raise the ante to such a high level that Moscow will back down - based on a rational cost analysis. Yet oil prices will inevitably rise later in 2016 – and under this scenario Washington is a loser. So we may see a raise of interest rates by the Fed (with all the money continuing to go to Wall Street) trying to reverse the scenario. Comparisons of the current NATO buildup to pre-WWII buildups, or to NATO when opposed to the Warsaw Pact, are amateurish. The THAAD and Patriot missiles are worthless - according to the Israeli Defense Forces (IDF) themselves; that’s why they tried to improve them with Iron Dome. Meanwhile, those new NATO army “battalions” are inconsequential. The basic thrust behind the Pentagon’s moves under neocon Ash Carter continues to be to draw Russia ever further into Syria and Ukraine (as if Moscow actually was involved in, or wanted, a Ukrainian quagmire); trap Russia in proxy wars; and economically bleed Russia to death while crippling the bulk of oil and natural gas income to the Russian state. RAND corporation study, which examined what would happen if a war actually took place. RAND reached an “unambiguous” conclusion after a series of war games in 2015-2015; Russia could overrun NATO in a mere 60 hours – if not less – if it ever amounted to a hot war on European soil. The Rand Corporation is essentially a CIA outpost – thus a propaganda machine. Yet it’s not propaganda to state the Baltic States and Ukraine would completely fall in less than three days before the Russian Army. However, the suggestion that additional NATO air power and heavily armored combat divisions would make a material difference is bogus. The Aegis changes the game in the sense that it qualifies as a launch area for US missile defense. Think US missiles with minimum flying time – around 30 minutes – from Moscow; that’s a certified threat to the Russian nation. The Russian military has also been “unambiguous”; if it is ascertained that NATO – via the Pentagon – is about to try something funny, there are grounds for a preventive strike by Iskander-M systems out of Transnistria – as in the destruction of the US missiles by conveniently armed precision weapons. Meanwhile, Moscow has pulled a stunning success – of course, it’s far from over – in Syria. So what’s left for the Pentagon – via NATO – is essentially to play the scare tactics card. They know Russia is prepared for war – certainly much better prepared than NATO. They know neither Putin nor the Russian military will back down because of kindergarten scaremongering. 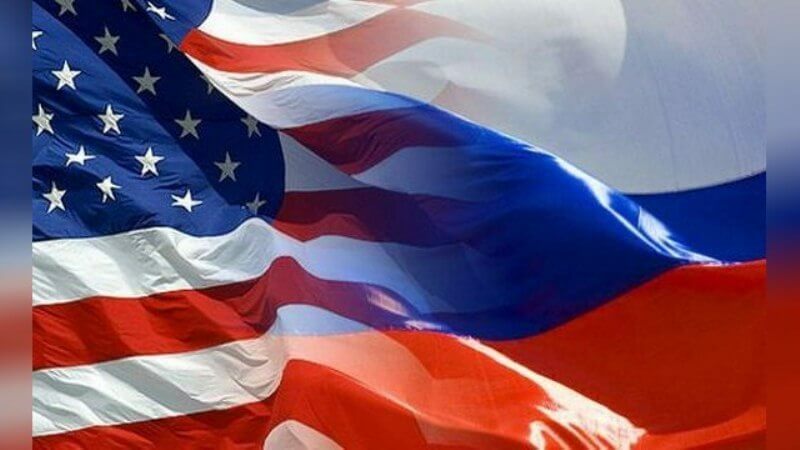 As for a too conciliatory tone by the Kremlin towards Washington, things may be about to change soon. The Russian military are about to test the first prototypes of the S-500 Prometey air and missile defense system, also known as 55R6M Triumfator M – capable of destroying ICBMs, hypersonic cruise missiles and planes at over Mach 5 speeds; and capable of detecting and simultaneously attacking up to ten ballistic missile warheads at a range of 1300 km. This means the S-500 can smash ballistic missiles before their warheads re-enter the atmosphere. So in the case of RAND-style NATO pussyfooting, the S-500 would totally eliminate all NATO air power over the Baltic States – while the advanced Kornet missile would destroy all NATO armored vehicles. And that’s not even considering conventional weapon hell. If push comes to nuclear shove, the S-400 and especially the S-500 anti-missile missiles would block all incoming US ICBMs, cruise missiles and stealth aircraft. Offensive drones would be blocked by drone defenses. The S-500 practically consigns to the dustbin stealth warplanes such as the F-22, F-35 and the B-2. The bottom line is that Russia – in terms of hypersonic missile development – is about four generations ahead of the US, if we measure it by the development of the S-300, S-400 and S-500 systems. As a working hypothesis, we could describe the next system – already in the drawing boards – as the S-600. It would take the US military at least ten years to develop and roll out a new weapons system, which in military terms represents a generation. Every Pentagon planner worth his pension plan should know that. Russian – and Chinese – missiles are already able to knock out the satellite guidance systems for US nuclear tipped ICBMs and cruise missiles. They could also knock out the early alert warnings that the satellite constellations would give. A Russian hypersonic ICBM flight time, launched for instance from a Russian nuclear sub all the way to the US East Coast, counts for less than 20 minutes. So an early warning system is absolutely critical. Don’t count on the worthless THAAD and Patriot to do their job. Once again, Russian hypersonic technology has already rendered the entire missile defense system in both the US and Europe totally obsolete. So why is Moscow so worried by the Pentagon placing the Aegis system so close to Russia’s borders? A credible answer is that Moscow is always concerned that the US industrial military-complex might develop some really effective anti-missile missiles even though they are now about four generations behind. At the same time, Pentagon planners have reasons to be very worried by what they know, or hint. At the same time the Russian military – in a very Asian way – never reveal their full hand. The key fact of the matter needs to be stressed over and over again; the S-500 is impenetrable - and allows Russia for the first time in history to launch a first strike nuclear attack, if it ever chooses to do so, and be immune to retaliation. The rest is idle babbling. Still, expect the official Pentagon/NATO narrative to remain the same. After all, the industrial-military complex is a cash-devouring hydra, and a powerful enemy is a must (the phony Daesh “caliphate” does not count). The Threat Narrative rules that Russia has to meekly accept being surrounded by NATO. Russia is not allowed any response; in any case, any response will be branded as “Russian aggression”. If Russia defends itself, this will be “exposed” as an unacceptable provocation. And may even furnish the pretext for a pre-emptive attack by NATO against Russia. Now let those Pentagon/NATO planners duly go back to play in their lavish kindergarten.